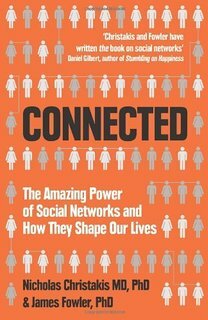 Connected: The Surprising Power of Our Social Networks and How They Shape Our Lives, by Nicholas Christakis and James Fowler, provides a great introduction to the role of networks in human interactions. It is artfully written and draws on many different social science fields for examples. Here's a recent presentation by Christakis on the role of social networks in the spread of obesity.